Microsoft brings its virtual assistant Cortana on PCs even as the company makes efforts to unify its mobile, tablet and desktop platforms. Microsoft has announced rolling out its personal digital assistant, Cortana, to PC and tablet for the first time with Windows 10. The assistant will be available next to the Start button in the taskbar for an easier access. At its Windows 10 event, Microsoft also detailed Cortana for desktop. Along with regular voice commands, the virtual assistant allows users to search files on local storage hard drives and OneDrive. Users can also search pictures using dates and other filters. Cortana can search apps on the local device as well as in Windows Store. It can be used for composing emails, Bing searches or playing music. The assistant also lets you customise information, helping Cortana suggestions to be more accurate. The assistant works across platforms, allowing users to pulling information on PC and later access it on mobile devices. 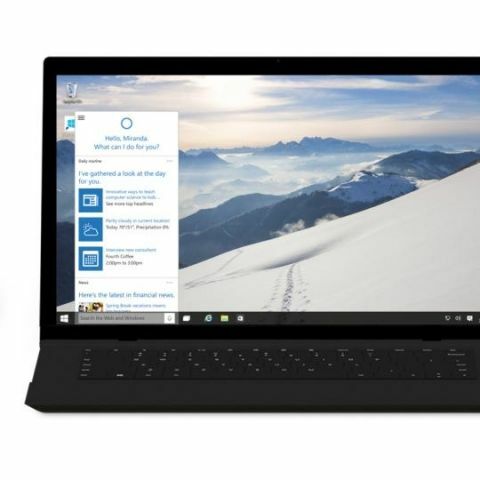 Cortana will also be integrated with Microsoft’s new Project Spartan Browser. “Cortana learns your preferences to provide relevant recommendations, fast access to information, and important reminders. Interaction is natural and easy via talking or typing, with advanced features to control Cortana for more trustworthiness and transparency,” explains Microsoft on its blog. Cortana is certainly an important feature of Windows 10, and perhaps will change the way users have been interacting with computers so far. However, the efficiency of Cortana on desktop remains to be seen. That said, Cortana with Windows 10 is arguably a better integration model than rivals Google Now and Apple's Siri.